The Jeep Grand Cherokee was introduced in 1992, and was originally planned to be the replacement to the Jeep Cherokee. With the SUV market just taking off and Cherokee sales remaining strong, Jeep ended up deciding to keep both vehicles in their lineup. The Grand Cherokee was larger, more comfortable, and featured a more luxurious appeal than the Cherokee. It quickly became the first real competitor to the popular Ford Explorer, and together they fueled the SUV boom. The Jeep Grand Cherokee was introduced at the 1992 Detroit Auto Show as a 1993 model year, and was available in the base, Laredo, and Limited trims. The second-generation Grand Cherokee was introduced in 1999, and was completely redesigned, featuring Jeep’s then-new PowerTech V8 engine. The PowerTech engine was lighter, offered better fuel economy, and provided similar road performance figures as the previous pushrod V8 engines. The third generation was revealed at the New York Auto Show in 2004 as a 2005 model year. The design still emphasized luxury and power, and significant work was done to improve noise, vibration, and harshness. For the first time, Jeep emphasized on-road performance and less focus on off-road capability. The fourth-generation model was introduced again at the New York Auto Show, this time in 2009 and went on sale in the summer of 2010 as a 2012 model year. The current Jeep retains its classic Jeep features, but the all-new body design is sleek and modern, and aerodynamic efficiency has been improved. The newest Jeep Grand Cherokee’s luxurious interior is rounded out with state-of-the-art electronic features. 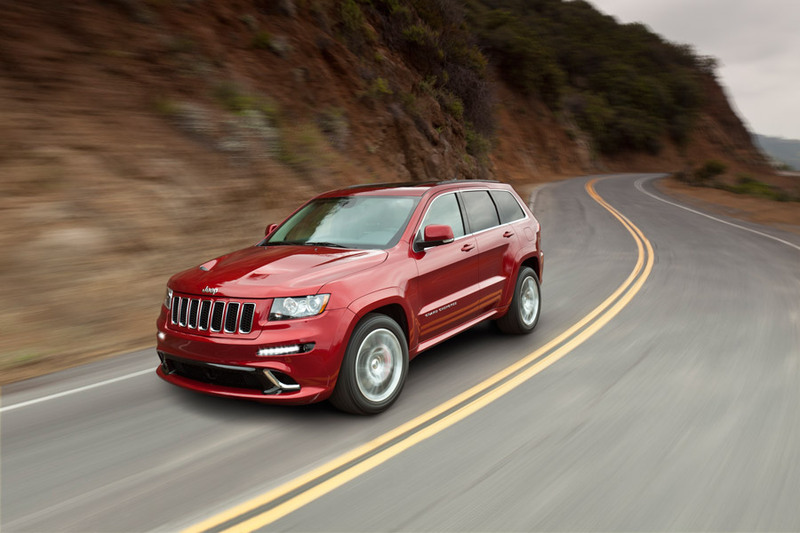 The Jeep Grand Cherokee has won 30+ awards for off-road capability, luxury, value, best-in-class, and safety – making it the most decorated SUV in history. Some of the awards include Top safety pick for 2011 by IIHS, Consumers Digest Best Buy for 2011, Safest SUV in America by MSN Autos, and Truck of the Year for 2011 by The Detroit News.